And now for something completely different, shoes! No really, I almost made it a whole week writing this blog without showing any shoes. And had I not promised yesterday I would've done it again today. With August in full swing and pre-season NFL action taking place, football is in the air. Football season used to mean a fresh batch of Converse football products, but it's been quite some time since we've seen any of those. 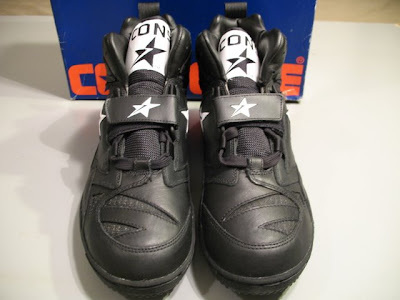 In fact the pair today might be one of the last pairs of Converse football shoes ever made. If you look closely you can catch a glimpse of the white colorway of these shoes in the background of an ESPN football show, I just can't remember which one. There are a few things to love about these shoes. 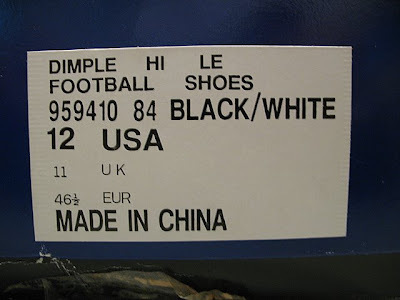 First their football shoes, how amazing is that? 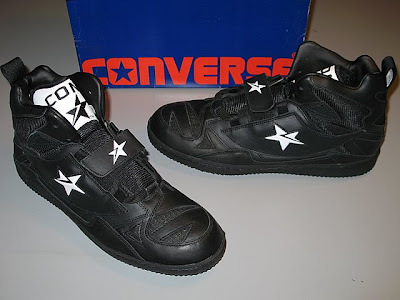 Over the years I've seen a number of Nebraska football items made by Converse and I often wonder what it would be like to see the Circle and Star on the gridiron. 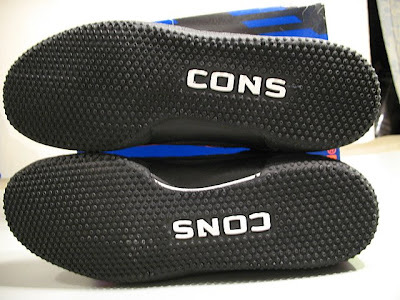 These shoes also have the classic, branding CONS on the heel. 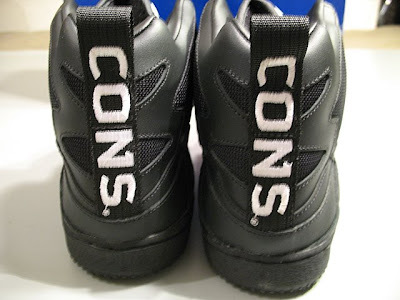 These served two purposes, it took advantage of a nickname the shoes always seemed to carry and tapped into the fad of four letter brand names like Nike and Fila. 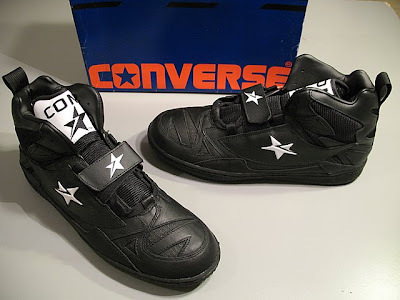 They also came with the awesome Converse box with the star in the "O" and chevrons on the box. 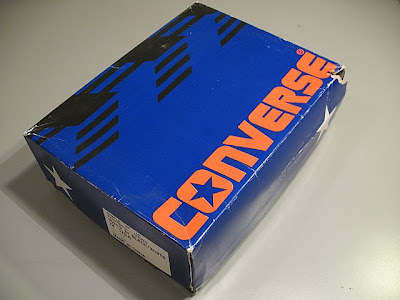 However, the real prize of this box is the Converse logo itself. I've never heard an official name for this logo, but I also called in the Chevron in Star logo. It was used primarily during the REACT days. It hasn't been used since the release of the All Star 2000 in 1996. 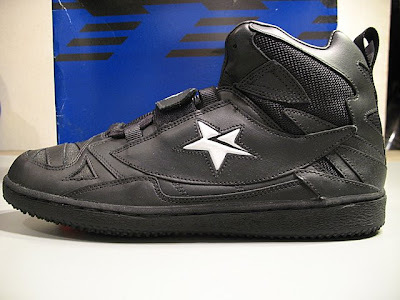 I really love the design on the uppers of these shoes, you can clearly see the 90's influence. That's all I've got for today, I hope you've enjoyed the post this week. Thanks for stopping in and enjoy your weekends!